Summer is a great time to be on Lake Michigan, and Milwaukee is the perfect alternative to Chicago. You can road trip, or affordably fly direct on Delta. Amtrak is certainly another option if you are feeling adventurous. RTip: The outbound train from Minneapolis to Milwaukee comes from Seattle and is unreliable. If you want to take a train ride it is best to consider flying one way and riding the train back on the return when the schedule is more consistently on time. Total travel time by train is 8 hours. Every year for the past 7 years we've made it a tradition to visit Milwaukee for the 4th of July. It's during this Summerfest week that US Bank puts on a spectacular hour long fireworks show on the shores of lake Michigan. Over the years, we haven't once deviated from staying with the athletes and musicians at the historic Pfister Hotel downtown. Our favorite rooms are in the original building on the East side or on the mezzanine. That way if someone doesn't make it to 9:30 we can still see the fireworks display from the huge hotel windows. If you are staying as a family be sure to request a king suite and specify that you want the version, with a door between the living space and the bedroom. The rooftop pool and 24 hr. room service make it hard to leave. For us, the Milwaukee Public Market is very reminiscent of Pier 1 in San Francisco where we lived for 5 years when our daughter was little. Both are filled with spice vendors, cheese mongers, wine bars, olive oil, sweets and coffee. Not to mention the incredible seafood offerings not to be missed in at the St. Paul Fish Company's oyster bar. Can you say lobster roll? Rtip: Biking is a great way to see the city and Bikabout is a wonderful resource for planning your route. Their website provides a couple of self guided routes, including the shopping tour which starts at the Public Market. As a bonus Bikabout.com maintains an online directory of bike friendly properties nationwide. Check them out. Enjoy historical downtown Milwaukee from the water by renting a pontoon and cruising down the river and onto the shoreline of Lake Michigan. This is such a fun activity for people of all ages, you often can secure a reservation same day, and the girls running the docks are delightful hosts. Rtip: Walk to get a brat at the Milwaukee Brat House before or after your boat ride. The specialty sausages, particularly those on a Miller pretzel roll, are incredible. Don't be intimidated by the waiter's black ties or the cloth napkins, Elsa's on the Park is as welcoming as it is good. Known for their house-made spices it's best to start with chicken wings. But come hungry because dessert is featured first on the menu, and they'll be nothing left if you order the APV Burger. Be warned, the french fries are actually waffle fries, and the fire fries are really chips. RTip: If you have kids in tow, let them play at the playground across the street in Cathedral Square Park before, after (or during;) dinner. The park also offers live music on most Thursday nights all Summer, and a farmers market on Saturdays. We like to act like locals at the Transfer Pizza Cafe where MSOE students and locals eat well for really cheap. Happy hour taps and apps are $3, and fresh ingredients guarantee they don't make a pizza you won't enjoy. You don't have to be Guy Fieri to know the Comet Cafe is fabulous. Get there for breakfast right when they open at 9am on the weekends. The burrito is a great choice, but if they are serving from the brunch menu order the Chilaquiles instead and don't forget a Bloody Mary. Our lunch favorite is either the grilled cheese & tomato soup or WI's #4 rated mac & cheese. Dinner is served until midnight, 7 days a week, and our "go to" suggestion at night is always the meatloaf and beer gravy. We'd like to tell you a little secret. This place serves up the best Reuben sandwich you'll ever have! Seriously, who doesn't travel for a good Reuben? Be aware this neighborhood is what they call "transitional," but everyone seems to come together over good corned beef. If you are there on the weekend, or a Tuesday or Thursday the tacos are fantastic. Although Thiensville is considered a suburb of Milwaukee, The Cheel is worth the 30 minute drive to check out. This family-owned Nepalese restaurant ships in spices from the Himalayas and runs an authentic scratch kitchen with something for everyone. The recently opened beer garden is the perfect place to start, but don't linger too long or the relatively small dining room will fill up and the Himalayan 5-spice sungur ribs will sell out. I suggest the fried, goat Momo, which is a savory dumpling served with the most incredible sauces or aachar and they make an incredible lamb burger. Near the Milwaukee River, this shop offers a charming collection of old and new goods. Thoughtfully curated by the owner Whitney, who draws on her background in art and her travels abroad to find the best . She's the one with the beautiful red hair. RTip: Before or after your shopping, pop over to Lakefront Brewing to enjoy a craft beer on the riverfront. We've been traveling to Milwaukee for many many years now as my husband is a proud "Sconnie" growing up in the North suburb of Whitefish Bay. 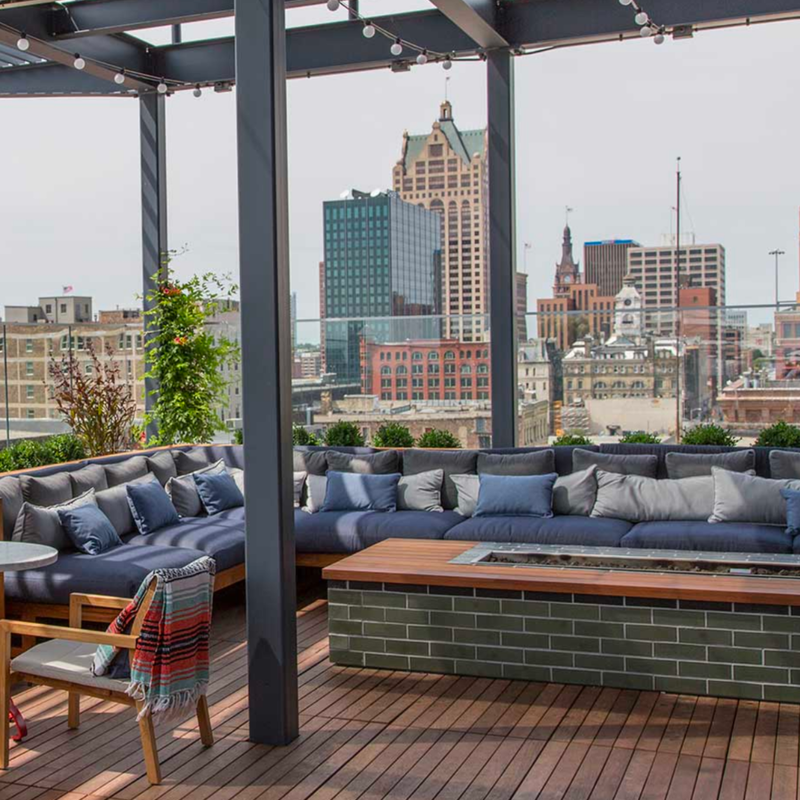 When heading out for an adult getaway we like to stay at the Kimpton Journeyman in Milwaukee's artsy, hip, third ward area. The property is approach-ably cool with gorgeous decor and quiet rooms. Go to the rooftop lounge for a special treat and head to dinner at one of the many restaurants within walking distance. RTip: is to walk over to Drift MKE's mobile cafe and start your day with Rachel's homemade breakfast pie and a Cup of Joe. If you are traveling with little ones, the Children's Musuem in Milwaukee is a must-see. Designed for kiddos 10 and under, it's an interactive, educational museum with plenty of hands-on exhibits. One of the best that we've been to and we've seen plenty. If you can, head there around lunchtime to avoid big crowds (naptime, anyone?) and don't forget to pack the Purell there is so much to see and touch. Discovery World is fun for all ages. Situated right on Lake Michigan, it's a perfect spot to enjoy the views and explore the exhibits. While there are aquariums located in the bottom level, there is also a robotics gallery with (no surprise) robots, pulley gears, and fun virtual reality experiences. For music geeks, head to Les Paul's House of Sound, where you can learn about his humble beginnings in nearby Waukesha. Immerse yourself in the sounds and technology that he created and (fun alert!) get to make some music of your own. Milwaukee is known for its' custard, so there is no better place to indulge than at Kopps. There are four featured flavors per day including two specialties with all kinds of yumminess mixed in. While you are there, get one of their fantastic butter burgers and some fries to go with it. At the Glendale location, notice the spoon and cherry" replica that pays homage to the original Spoonbridge and Cherry at the Walker Art Center in Minneapolis. If you are looking for old school Italian, look no further than the Calderone Club. The thin crust pizza and made-from scratch pastas complement their extensive wine list. There are two "clubs" - one downtown and a Fox Point location for the North-siders, but be sure to make a reservation. Both places are always packed with locals and out-of-towners alike. Walkable from waterfront Veteran's Park, The Waxwing is your one-stop shop for local Milwaukee art and souvenirs. New artists are always in their rotation so the merchandise is always dynamic and unique. 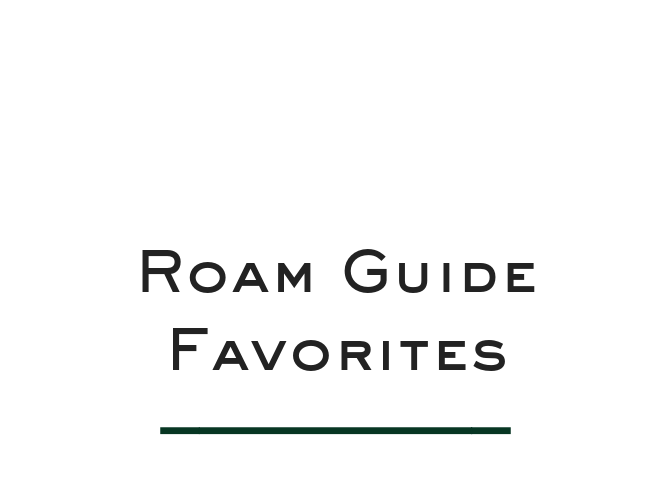 Click our link here to see everywhere we recommend you visit in MKE. What are we missing? Tell us your Milwaukee favorites. I love my family and Beyonce. Not necessarily in that order.